With its unmatched retarding performance, the PRXB delivers constant exhaust pressure (braking) throughout the entire RPM range. 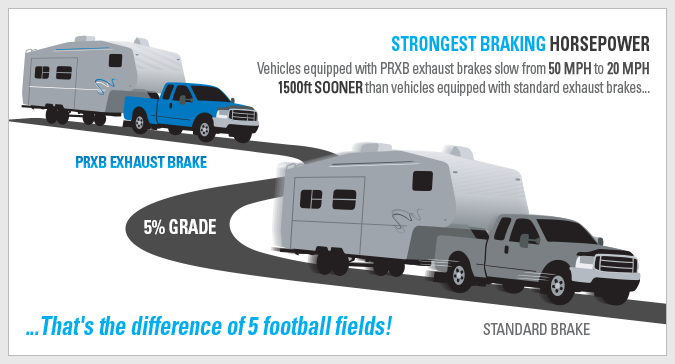 Providing performance, safety and durability not seen in any other exhaust brake, the PRXB provides you with the control you need to slow your vehicle – extending your service brake life as much as 3-5 times! 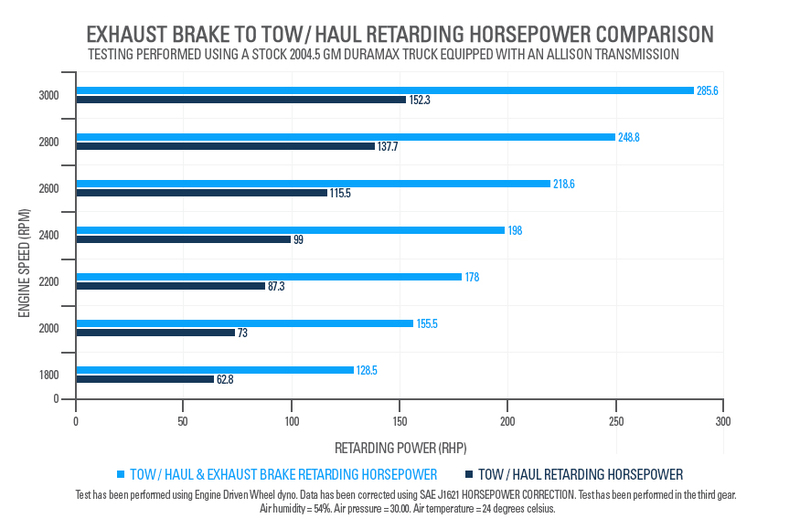 *As this graph comparison shows, selecting the Allison transmission’s tow/haul mode when reducing speed provides approximately 150 retarding horsepower. In the same mode, with the addition of a Pacbrake PRXB, the retarding ability is almost doubled, providing the most effective speed reduction possible without the need for service brakes. 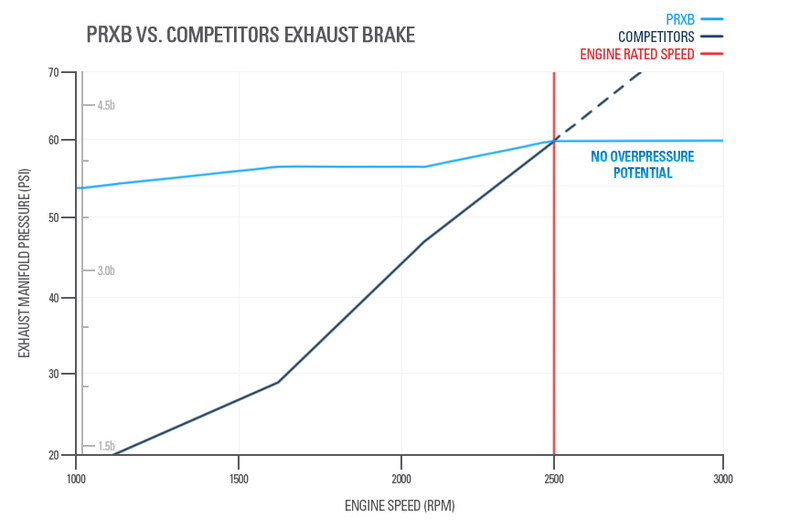 Allison transmissions will automatically downshift to attain higher RPM to aid in retarding, but with a Pacbrake PRXB, higher RPM is not as critical due to the unique modulation design.